Joss Whedons next project named | JAMMSBRO '+g+"
Buffy, Firefly, Angel and erm, Dollhouse. 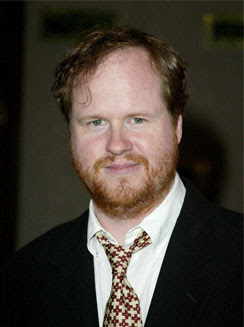 Mr Whedon is undoubtedly a talented television writer but he is usually overlooked for his big screen writing work. Toy Story, Serenity, TItan AE, Alien Ressurection. Now he has gotten his next big screen project underway and it, like Cloverfield is shrouded in a cloak of secrecy. It's called The Cabin In The Woods and stars a cast on young and relatively new-ish bunch of young actors. The plot is kept under super tight wraps so we know nothing as yet, except the title leans towards horror/thriller type genres.